Whether you call your mom, mommy, mama, mami, mother, mum, this is a terrific keepsake piece for letting your mother and best friend that she means the world to you. 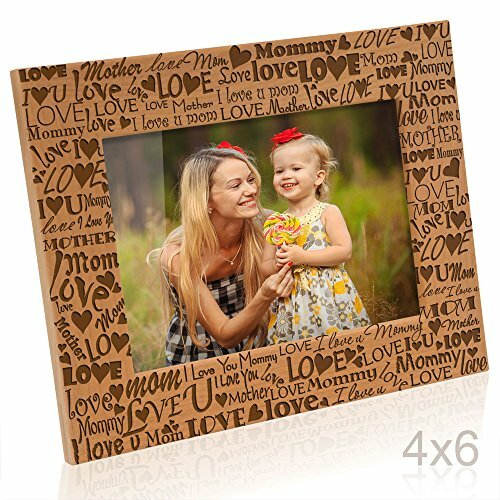 A beautiful photo frame that is perfect for a Family celebration, Mother's day, Christmas gift, Family reunion, Birthday gift, Wedding gift, Valentine's day gift, three generations picture, four generations photo, rehearsal dinner gift, or any other special photo that shows the love you have for your Mom. It is a special keepsake that will be cherished for years. Photo frame is engraved and adorned with a unique and intricate design.